This year’s collaboration between Levi’s and Filson has brought some interesting pieces such as Levi’s iconic trucker jacket constructed in Filson’s Shelter Cloth with rugged details like a full sized game pocket and zippered storm flap; last year’s well-received trucker jacket in Filson’s Tin Cloth is also being offered again this season. Also worth mentioning from this collection is the Levi’s 505 jean made from Filson’s Tin Cloth, I have a pair of LVC 505’s in raw denim and the fit is great- slim in the seat and straight in the leg without being too wide. With the aid of the Tin Cloth’s ability to resist wind and water they could make for a decent winter commuting pant. 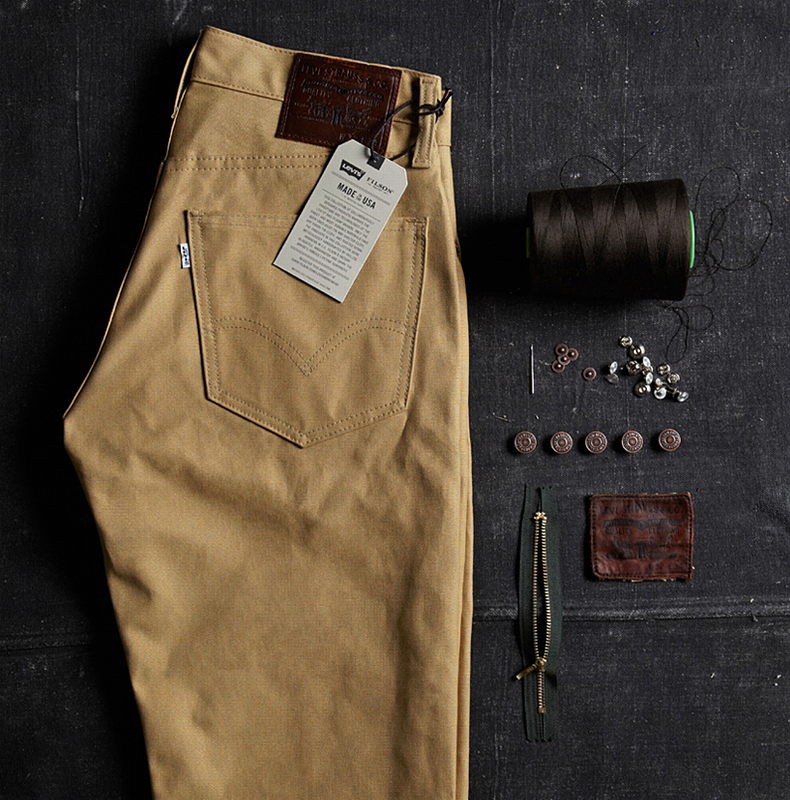 All American made and available at both Levi’s and Filson. 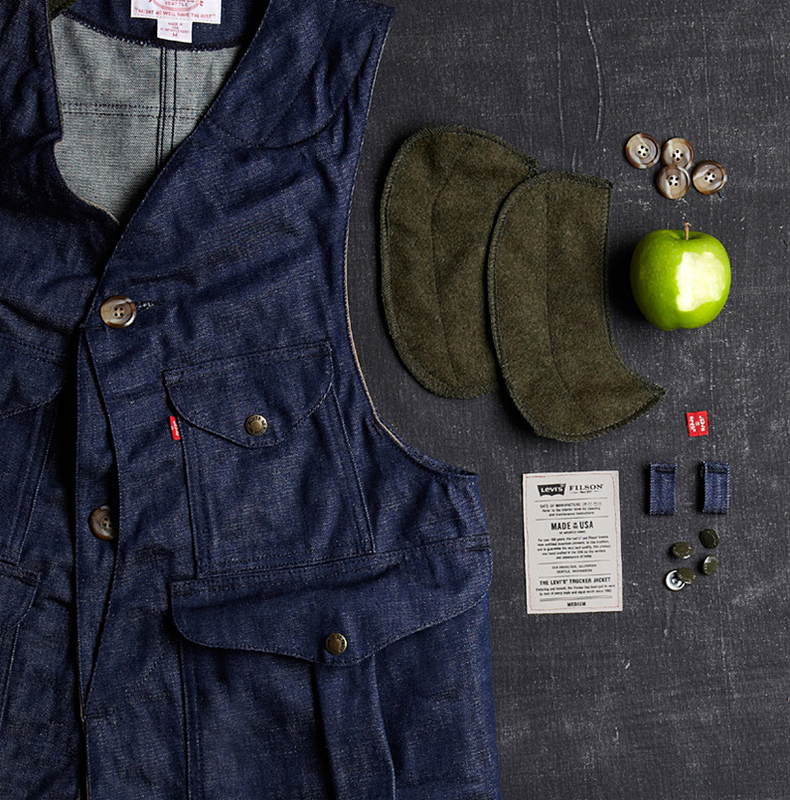 Note: denim hunting vest may not actually be constructed with Granny Smith apples but make for a neat William Tell reference.